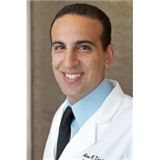 Alan Khadavi, MD, APC (Encino) - Book Appointment Online! **FOR NEW PATIENTS WHO ARE COMING IN FOR ALLERGY TESTING, PLEASE DO NOT TAKE ANY ANTIHISTAMINES 72 HOURS PRIOR TO YOUR VISIT. ** We are a medical practice dedicated to providing our adult and pediatric patients with high quality and up to the minute medical expertise. We specialize in the diagnosis and treatment of seasonal and perennial allergies, asthma, sinus disease, chronic cough, bronchitis, hives, skin allergies, food, insect and animal hypersensitivities. We promise to take excellent care of you and your family. We are up to date on our medical knowledge and follow the methods of investigation and treatment endorsed by the American Academy of Allergy Asthma and Immunology and the American College of Allergy Asthma and Immunology. More importantly, we are committed to working with you to help you get the allergy relief you deserve.